If you'd asked me what group would turn out to be the biggest surprise of the year I wouldn't have said, "Springtails - I'm going to record a shed load of springtails". But one thing led to another and here I am with 8 on my list already at the close of January, and none unidentified! I should jack it in with weevils on that basis (although I'm "2 for 2" on weevils to be fair). The latest addition is Hypogastrura manubrialis, which I had photographed and ID'd but wanted confirmation on. 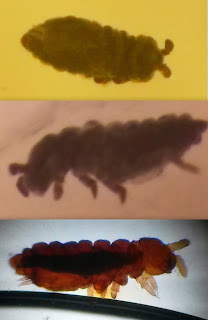 It was kind of gazumped by the importance of the Anurida,but it was my first springtail I cleared and examined under the compound. Now I've got the bug though I've a feeling I'll just carry on.